Tropical islands might boast pure natural scenery, but their energy sources are often anything but pure. Many power-hungry resorts in the Maldives rely on diesel, a notorious pollutant, for their energy needs. Swimsol, a solar power company based in Austria, is working to change that. 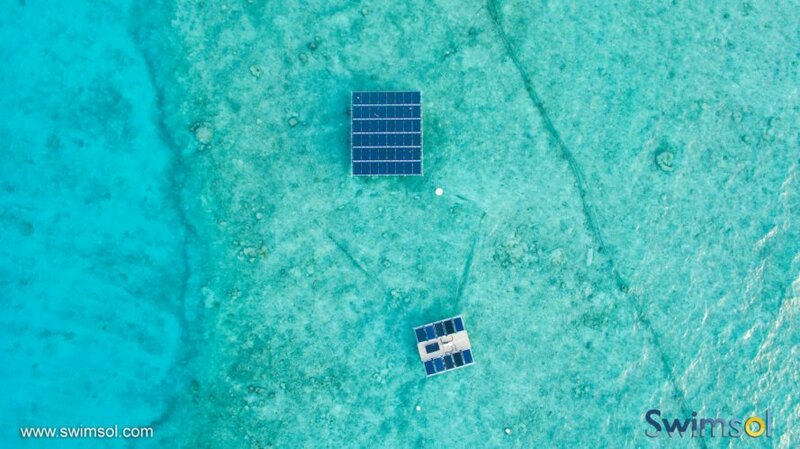 Because many of the islands in the Maldives are tiny — you can walk across some of them in under 10 minutes — there isn’t much space for solar power, but Swimsol has solved the problem by turning to the seas. Inhabitat caught up with founder and managing director Martin Putschek to find out more. 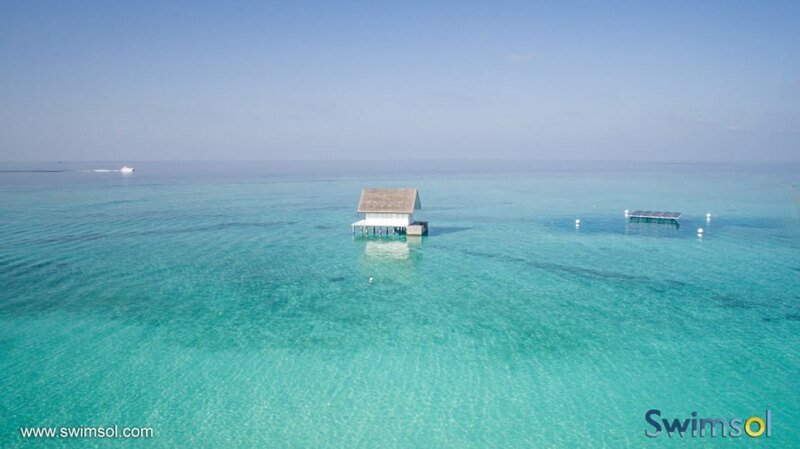 Sunshine is plentiful in the Maldives; land, not so much. To make matters more challenging, rooftop solar has limited potential – tropical buildings often aren’t made for bearing heavy loads like buildings in colder locations that must withstand snow. “But what you have is huge atolls, around 10 to 20 kilometers wide, roughly. You’ve got the outer reef around this atoll and inside this outer reef, it’s a little like a lake,” Putschek told Inhabitat. 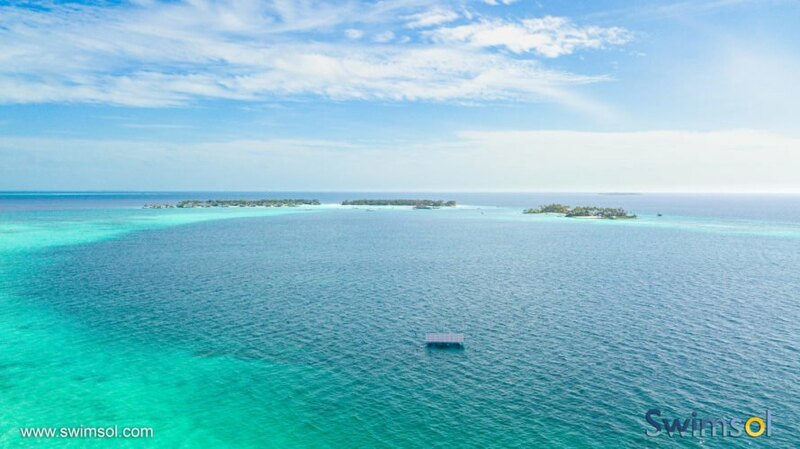 After a business trip to the Maldives, the idea came to him while practicing the violin: what if he could install floating solar panels on that water? Swimsol’s SolarSea systems are the result of that spark of inspiration – and their first commercial pilot has been operating for just over three years. Solar panels are mounted atop a patent-pending marine-grade aluminum alloy framework designed to let waves pass through. The system, which the company says will last 30 years or more, can withstand waves of around six and a half feet high and winds of around 75 miles per hour. Each platform, which is about 46 by 46 feet, can power around 25 households. Swimsol says the systems assemble much like IKEA furniture, and three people could build one platform on a beach in under a day — no heavy machinery or welding necessary. And it turns out solar panels drifting on the sea are actually more productive than those on land, thanks to water’s cooling effect. “We measured the temperature difference between solar panels on a roof and on a floating structure which were installed very close to each other, like 200 meters apart, and at lunch time you can see a temperature difference of 20 degrees,” Putschek told Inhabitat. He said they can obtain as much as 10 percent more power from floating panels, depending on the time of day. 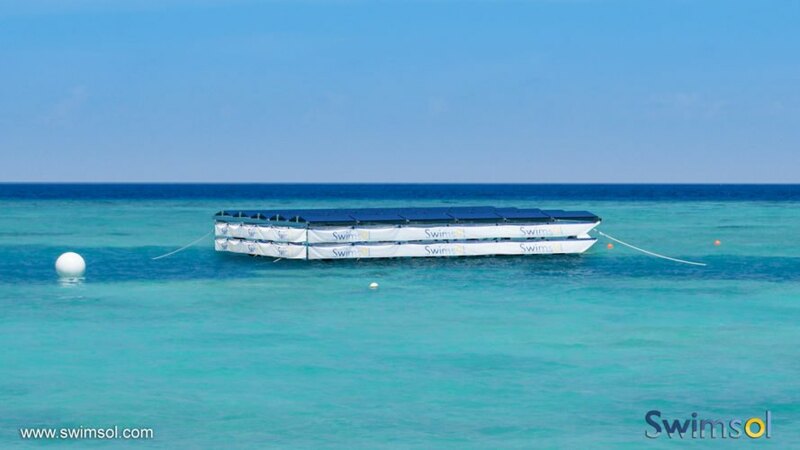 But do floating solar panels impact marine life? 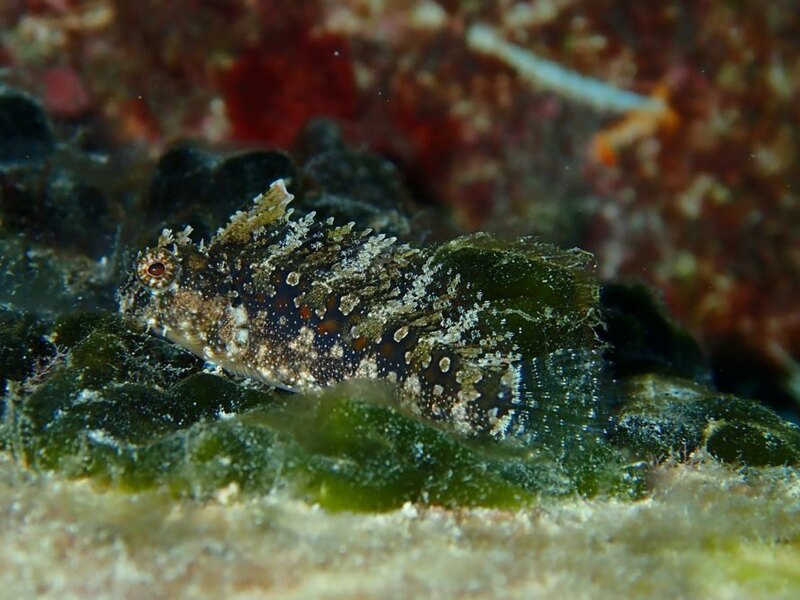 Putschek said they clearly need to keep systems away from coral reefs, which need sunlight. Fortunately, there are swaths of water with sandy seabeds where they can install solar. “Regarding the fish, they actually like it. They like the shade and places where they can hide. The whole thing serves as a fish-aggregating device, which is a term for floating platforms with no purpose other than just attracting fish. Ours are solar platforms, but that’s a side effect,” Putschek said. 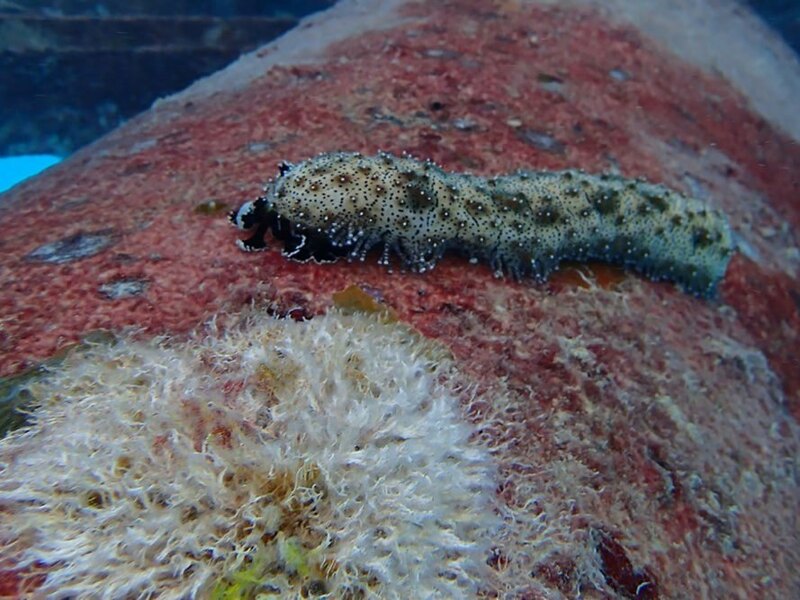 He said corals even grow on the platforms, turning them into artificial reefs. Right now, Swimsol is not selling the floating systems, but the electricity they produce — and they’re able to sell it cheaper than diesel, without a government-subsidized feed-in tariff. “We installed a little over a megawatt last year. This year we’re probably installing about three or so, and in terms of money that’s between $3 and $6 million,” Putschek said. They’re planning a crowdfunding campaign in Austria and Germany in a couple of months, and are looking for a strategic partner for further growth and to help them get access to more funding. The strides solar technology is making are astounding, and the constant new applications for it (like this one) show great promise. However, the sun doesn't always shine (even in the tropics) and battery storage technology continues to lag behind. Even when the main source of power can be supplied with solar and other renewable sources, backup power systems using diesel generators remain essential, because diesel provides a steady supply of power and can handle wide swings in power use. The load-carrying capacity, immediate response time, energy efficiency, portability and reliability of diesel generators have made them the technology of choice for decades. Diesel generators can provide emergency power within 10 seconds of grid power failure. No other power source can start and absorb that amount of electrical load; other fuel sources may take up to two minutes, which may be too long in many emergency situations. Plus, a diesel generator does not “flicker” or dip in power output when appliances such as a large air conditioner turn on, surge and drain power. Most importantly, diesel fuel provides cost-effective, immediate emergency power at a near-zero emissions level. Since 2010, ultra-low-sulfur diesel fuel (no more than 15 ppm sulfur) has been the fuel of choice for diesel-powered generators in the United States. When used in new-technology engines (those made after 2011), particulate matter reduces by 90 percent, and while using ULSD in older units reduces particulate matter emissions by 10 to 20 percent. Most importantly, diesel generators produce much lower amounts of carbon monoxide, meaning they are safer to run than gasoline-powered generators. And, diesel generators have their own storage for clean diesel fuel, which is readily available and replenishable. 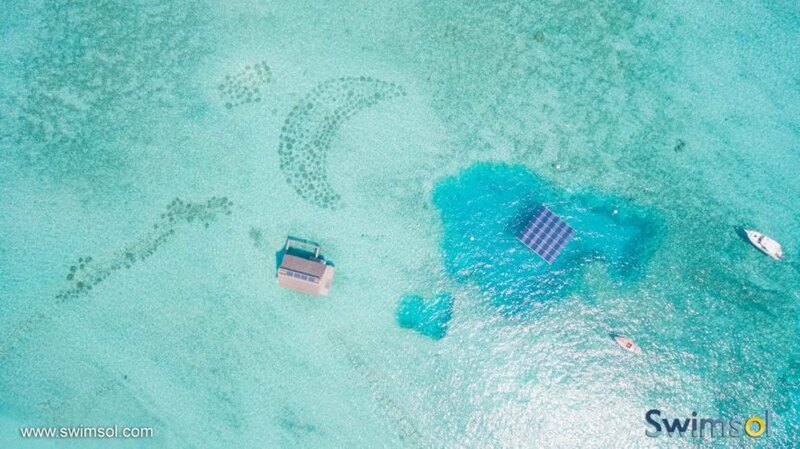 Swimsol installs floating solar panel systems, known as SolarSea. 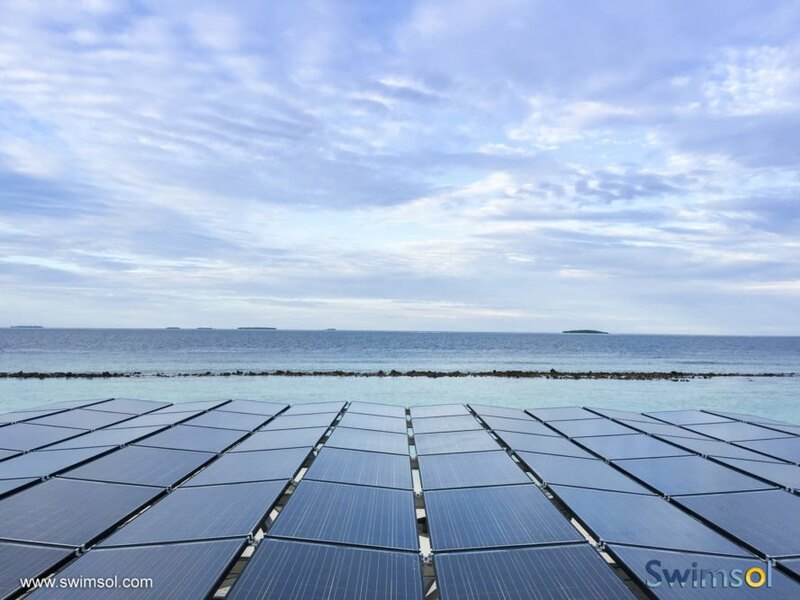 Swimsol has installed SolarSea systems in the Maldives. Swimsol's platforms are about 46 by 46 feet. 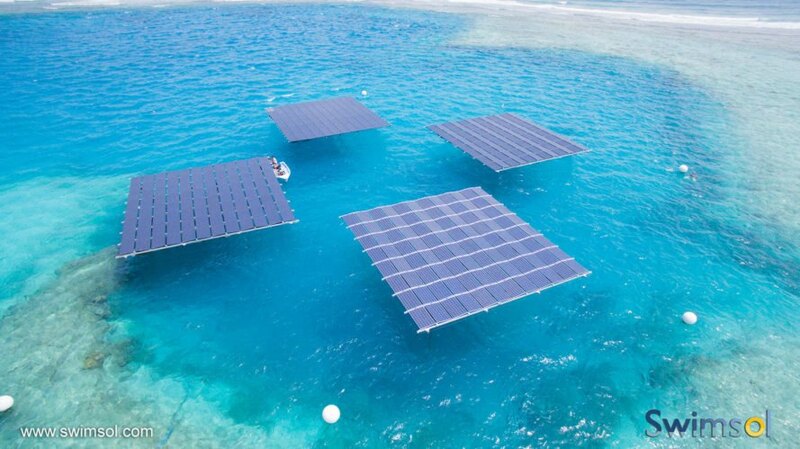 Many islands in the Maldives don't have a lot of space for solar power; floating solar could offer an answer. Each platform can power around 25 households. The systems are designed to last at least 30 years. Swimsol's solar systems are designed to let waves pass through. SolarSea systems can be assembled by three people in under one day. Floating solar panels can be more productive than those on land thanks to water's cooling effect. 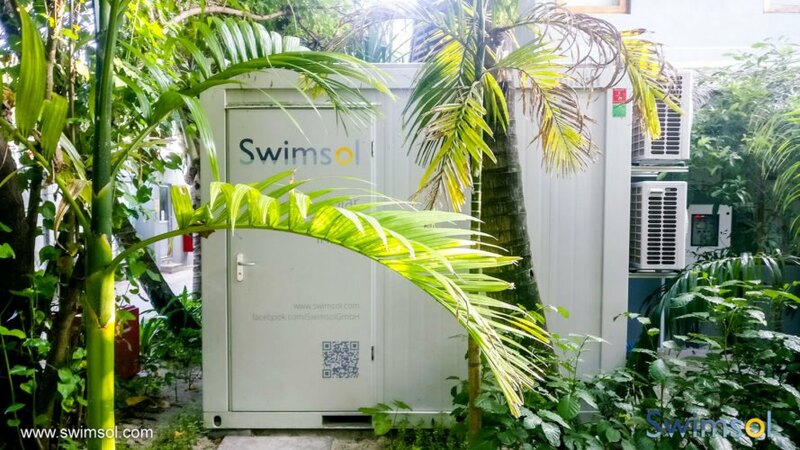 Swimsol can sell electricity in the Maldives cheaper than diesel. Putschek said fish like the shade of the floating solar panels. Corals will even grow on Swimsol's floating solar platforms. Tropical islands boast pure natural scenery, but their energy sources are often anything but pure. Many power-hungry resorts in the Maldives rely on polluting diesel, and Swimsol is working to change that. 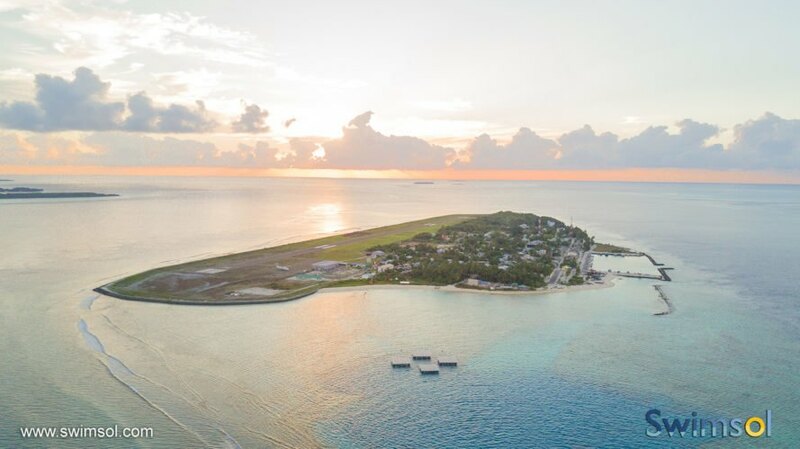 Since many of the islands are tiny — you can walk across some of them in under 10 minutes — there isn't much space for solar power, so Swimsol turned to the seas. Inhabitat caught up with founder and managing director Martin Putschek to find out more.